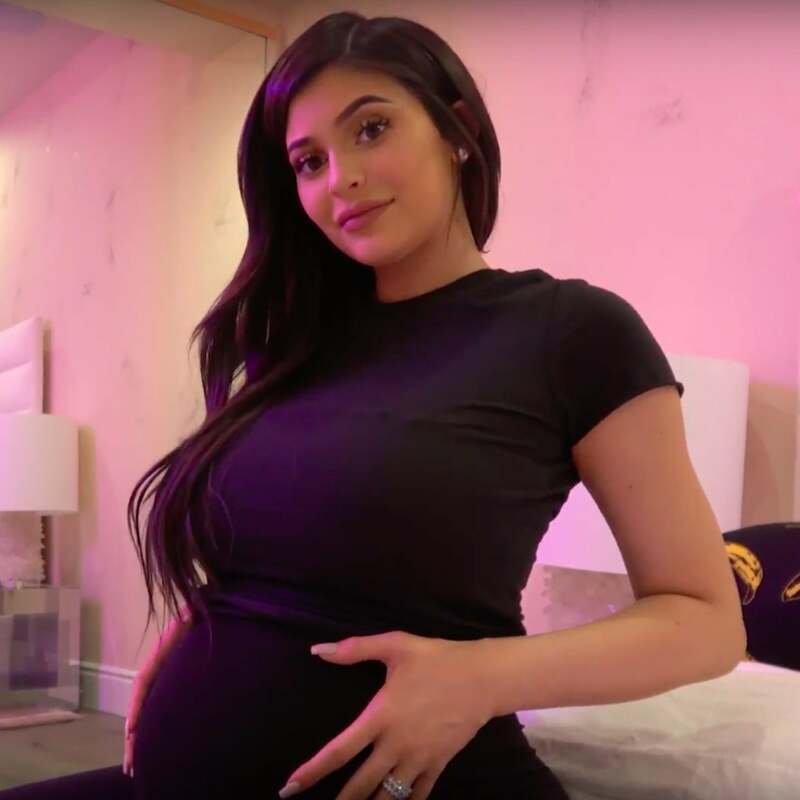 The reality star Kylie Jenner hints fans with baby fever claiming she might be expecting another child. The Keeping Up with the Kardashians star Kylie Jenner recently only celebrated her first child aka Stormi Webster's birthday just a couple of days ago. And in just less than two days after the birthday celebration of her sweet baby girl, the 21 years old already gave hints to her fans that she might be expecting another child soon. 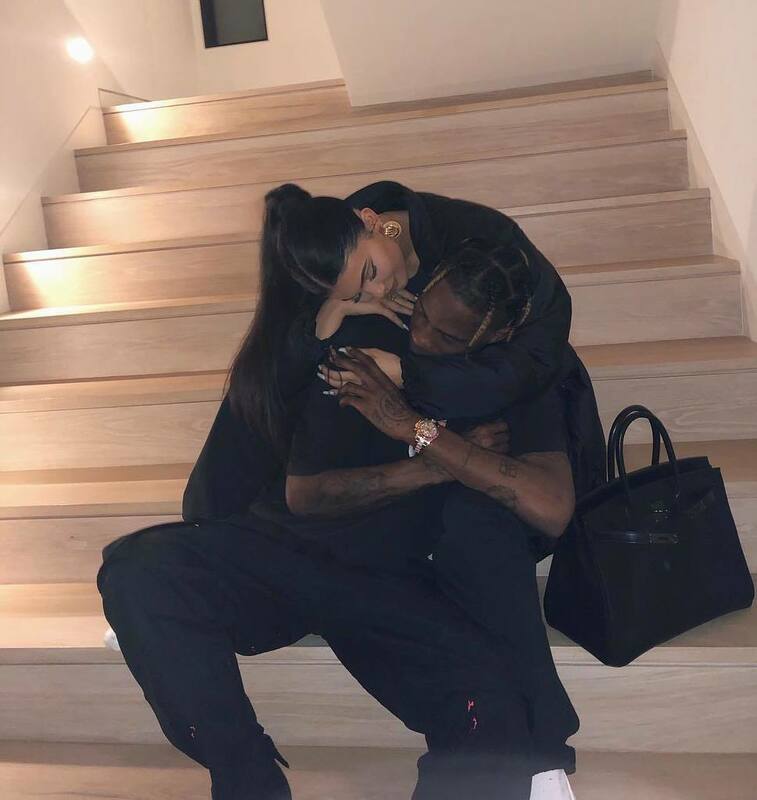 Jenner recently took to her Instagram to shock her fans by sharing a picture of herself with her baby daddy, rapper Travis Scott showing off some major PDA. In the cuddle picture, the soon to become the youngest billionaire held her hands wrapped around her boyfriend's shoulder. Kylie straddled Travis from the back as both the pair sat on a staircase. The two opted to be dressed in all black from top to toe looked effortlessly all stunning and stylish. A fancy black handbag can be spotted in the picture beside the pair too. Jenner decided to put her long black weave in an Ariana Grande style high ponytail with parting the hair down from the middle. The reality star accessorized her boyfriend's merchandise outfits with golden earrings. As a matter of fact, the Astroworld Tour printed joggers and tees Kylie wore comes in an amount of £49. Travis, dressed in all black holds his baby mama hands displaying his tattoos and a gold watch on his left wrist. And of course, millions of her fans went insane and most of them immediately flooded the comments sections by asking if she was pregnant again. 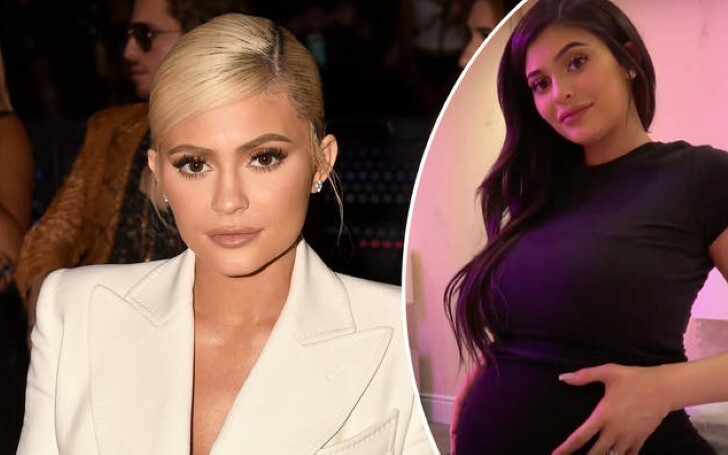 In fact, many of Kylie's fans believe the star might be actually already pregnant with her second child with Travis who she met two years ago. The fans firmly believe the star could be hiding the pregnancy truth just like the way she kept a secret covering her pregnancy with Stormi. However, Jenner who recently launched her VALENTINE COLLECTION responded to one curious fan saying that she wasn't pregnant at all. And as per other reports speculations, it states Kylie and Travis could be already secretly married too, despite the rapper claims he would marry her soon and that he was only figuring out an over-the-top way to propose his partner.